75 search results for "failure"
There are three main reasons we are losing the war with Islam. *. It is being respected as a religion by our governments. *. The brutal truth of Islam is not being taught in our education system. Instead a fantasy version of Islam is being shoved down our youths throats. If you have been reading my Twitter and Facebook pages, you would know that I have been saying that when it comes to Islam Trump has been getting terrible advice. Advice that is cultural suicide as it is Islam empowering. Yes there is sympathy for her because the Taliban shot her in the face. In no way though is that an excuse for such faulty reporting. As Rebel TV and Ezra Levant put her on a pedestal in their failed attempt at playing the “good” Muslim, bad Muslim “game”. A “game” the MSM media has been playing for years. A “game” that really should be referred to as Islamic Roulette. For years I have been saying in order to win the war with Islam, we must accurately name the enemy ideology. Which is something most of the MSM is just not willing to do. In fact to the detriment of America, they actually cover for the ideology. Introducing the NAI/Logan’s Warning Political Activism Group! For years I have been saying that Muslims do not have to be anywhere near the majority of America in order to be a freedom destroying force. That all they have to do, and are doing, is key in on three major sectors of the country. Our educational system, our governmental agencies, and our mainstream media. By focusing on these three sectors Muslims are manipulating the minds of our youth, influencing our government, and whitewashing Islam to the masses. Live Tonight! Logan’s Warning on the Gadi Adelman Show! 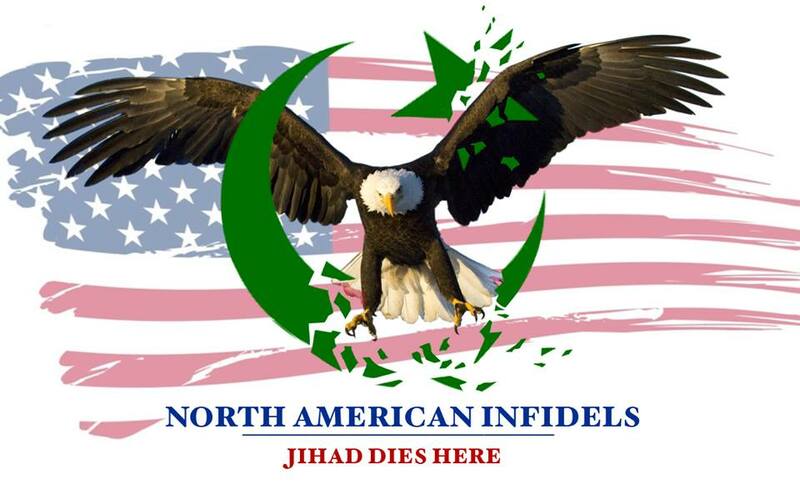 Saudi Tries to Whitewash Islam in Penn St Publication ~ North American Infidels Steps in! Over the years apologists for Islam have told me that Muslims are nowhere near the majority here in America. So there is no threat. My rebuttal to that is that Muslims do not have to be anywhere near the majority, in order to help turn public opinion in favor of Islam. All they have to do is continue to key in on three main targets as they have been doing. Our educational system, government, and media. Hello friends, over the years one of the aspects that separated Logan’s Warning from other great anti-Islam sites was our exclusive reporting. I risked my life doing the reporting because quite frankly the MSM does not have the knowledge or courage to do it. Ahmadiyya Muslim Community Exposed for Misleading America on Islam! One of the biggest obstacles that is slowing down our impending victory over Islam in the West, is the false notion that there is a group of “good” Muslims that are going to transform the ummah, and save us from Islamic rule. I usually do not bother to get into the different sects of Islam because they all read from the same hate-filled Koran. Making them all a threat. But today I feel I need to take the time and expose how the Ahmadiyya (Ahmadi) community is misleading the public on Islam. A sect many non-Muslims promote as if they will save us from the barbarity of Islam.